"The BJP might deny it but everyone knows that RSS' ideology has always been against the Constitution. They have come to power by taking oath in the name of the Constitution," Mayawati said. Lucknow: Close on the heels of Rahul Gandhi's assertion that the Constitution was under attack by the BJP, BSP president Mayawati today held the Congress equally responsible for doing so. 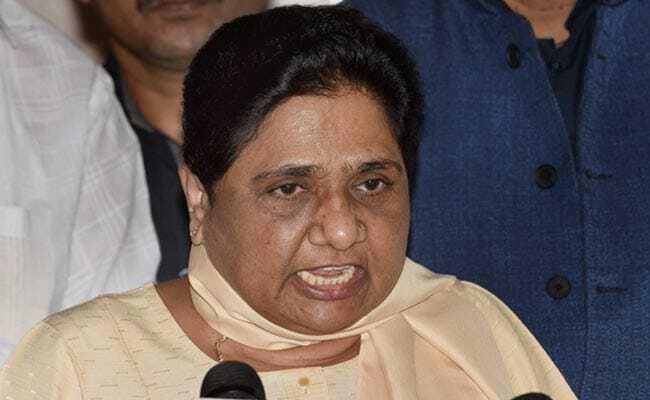 "The equality-based Constitution envisaged by Bhimrao Ambedkar is under attack today, but it is also a historical fact that the Congress has not failed any less in implementing the Constitution in its right spirit to ensure people's welfare," Mayawati said in a statement in Lucknow. "The BJP might deny it but everyone knows that RSS' ideology has always been against the Constitution. They have come to power by taking oath in the name of the Constitution," she said. "They have not left any stone unturned in implementing their fundamentalist and casteist thinking and this is the reason as to why all the constitutional institutions are today under threat," the BSP chief said. Mayawati also questioned as to how the Congress will have the moral right to fight against the BJP's "anticonstitutional" thinking. Earlier in the day, Congress president Rahul Gandhi had said at the Foundation Day function of his party that the Constitution was under attack by the BJP. "It is our duty to defend the Constitution, to defend every single person's future," he had said.